Job #569, built for Kiser A. Stephenson in 1952, but proudly owned now by Anne Morgan Moore, founder of the Synergistics Research Corporation. 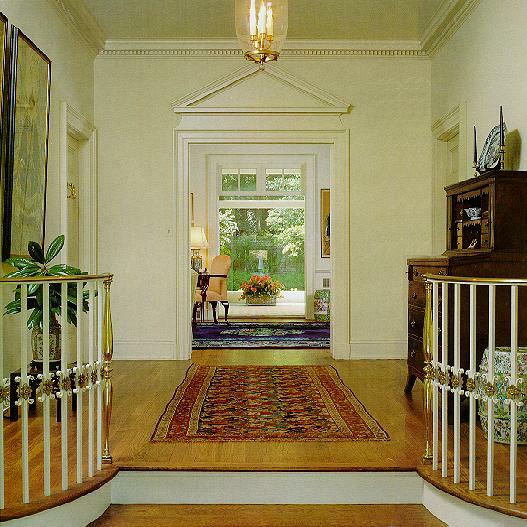 Very representative of Crook's style is the open, symmetrical entrance hall that allows one to see from the front door all the way through to the rear of the house. I especially like the greek frets in the living room, another Crook trademark. 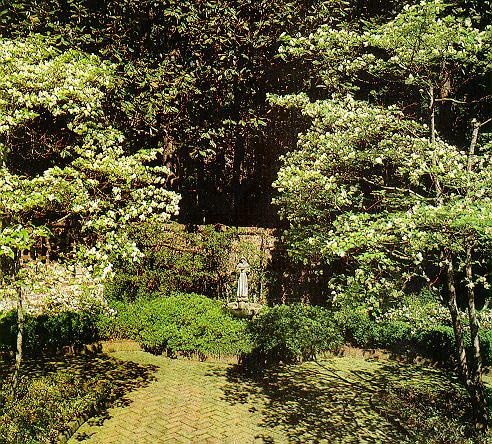 The exterior gardens were also integral to the overall plan for the home. 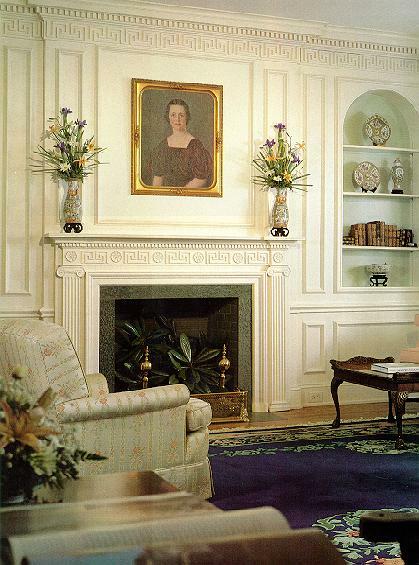 These photographs were taken by Bard Wrisley and are from an article Bill Mitchell wrote for Southern Homes magazine in 1989 describing Moore's quest to own a Crook-designed home. 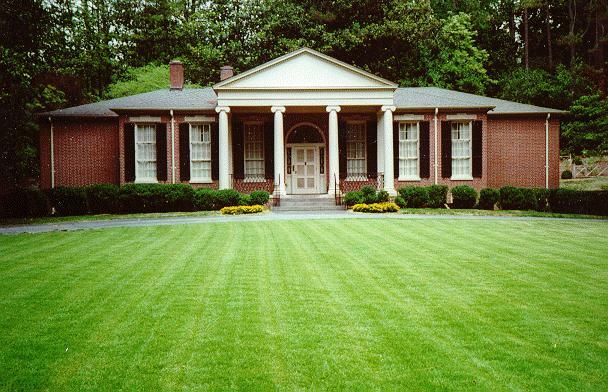 Ms. Moore graciously allowed me to reprint her chronicle of the history of her beloved home.